Stresa is a small, cheerful city (approximately 5,000 inhabitants) located in the province of Verbano Cusio Ossola, overlooking Lake Maggiore, in Piedmont. Ferries departing from the two Stresa wharfs guarantee a rapid connection with the Borromean Islands, located just a short distance away, as well as with other renowned destinations of Lake Maggiore. A cable car takes guests up to the top of Mount Mottarone, from where it is possible to admire the surrounding lakes, as well as to the Alpine Botanical Gardens, offering an unbeatable view over the Borromean Gulf. The city's name first appeared in a document dated 998AD with the toponym "Strixia", a longobard (late Latin) term for "strip of land". During the medieval era, Stresa was a small fishing village, forming part of the Visconti family fief. It was subsequently passed on to the Borromean family. Thanks to its natural beauty, in recent centuries Stresa has become the preferred retreat and hideaway for many European aristocrats, embellishing the area with their sumptuous villas and noble gardens. Villa Ducale dates back to approximately 1770. In 1848 the Villa was passed on to philosopher and theologian Antonio Rosmini and is now home to the International Centre of Rosminian Studies. Villa Pallavicino, located between Stresa and Belgirate, is home to a botanical and zoological park. Villa Dell'Orto, constructed in the early 1900s, was commissioned by artist Liberto Dell'Orto. The Palazzo Borromeo on Isola Bella (Beautiful Island, approximately 400 metres from Stresa), is renowned for its Italian garden and the paintings and tapestries decorating its halls. Since the beginning of the 1900s, Stresa has developed a strong local tourism industry, thanks to the spectacular panorama offered by the city, as well as attractions of significant historical and cultural interest, enriching the local territory. 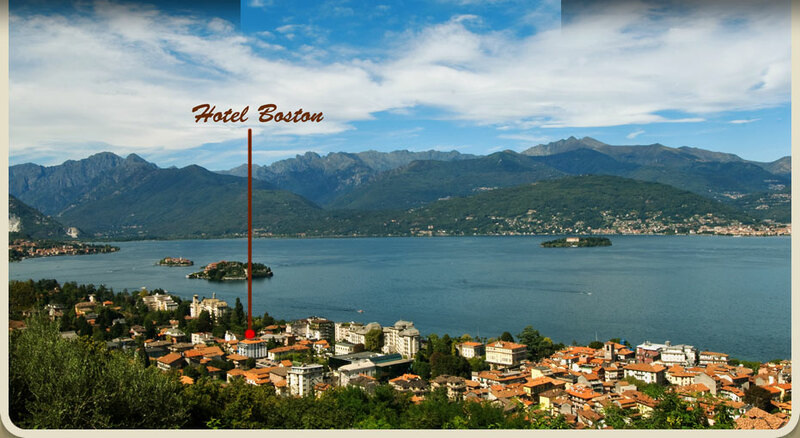 Numerous famous personalities and celebrities have been known to appreciate the beauty of Stresa over the years. Amongst these, Ernest Hemingway, whose novel A Farewell to Arms, was partly based in Stresa, in the renowned Grand Hotel Et Des Iles Borromées of Stresa (the construction of which began in 1861). Accessible by boat from the port of Stresa, Villa Taranto and Villa Pallanza have been open to the public since 1952, offering a botanical garden with many thousands of plants imported from all over the world, constituting an extremely rare collection; the Monastery of Santa Caterina del Sasso and the Angera Fortress. Also evocative is the journey across the Ossola valleys through to the Swiss valleys, aboard the "Vigezzina" railway train (Centovalli express). Le Settimane Musicali (The Musical Weeks) of Stresa and Lake Maggiore, a music festival initiated in 1961. The Stresa Narrative Prize, a prestigious literary event initiated in 1976, which each summer grants an award to a recently compiled Italian or Swiss narrative work. The Simposi Rosminiani (Rosminian Symposiums), cultural encounters on the life and works of Antonio Rosmini (Rovereto 1797-Stresa 1855). Blessed in 2007 in Novara.